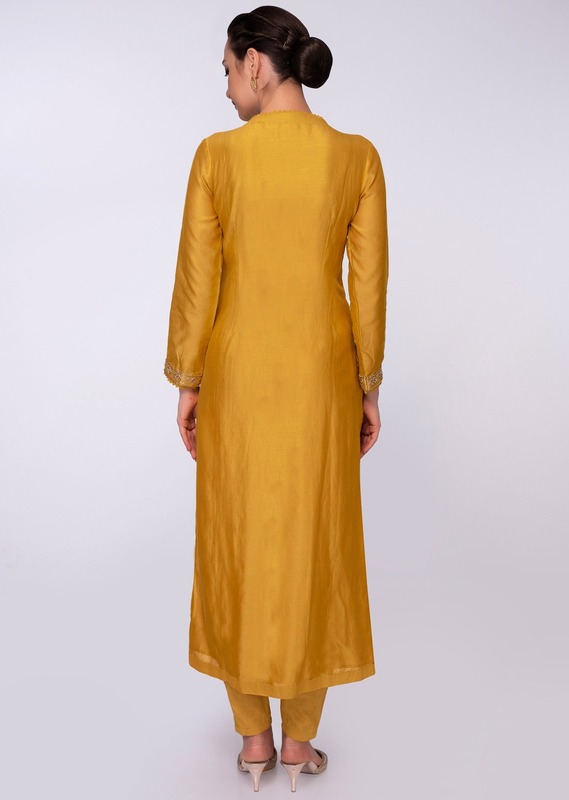 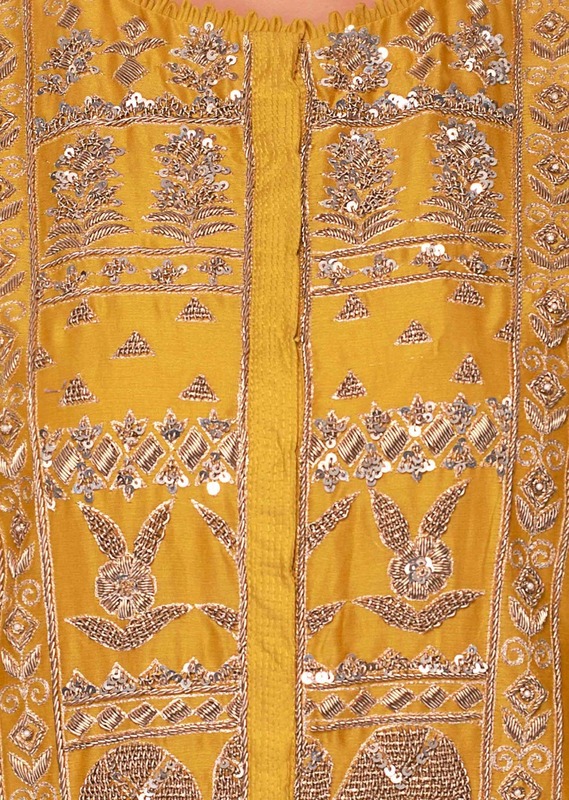 Mustard cotton silk suit in front panel embroidery and side butti. Embellished in zari,zardosi, sequins floral embroidery. 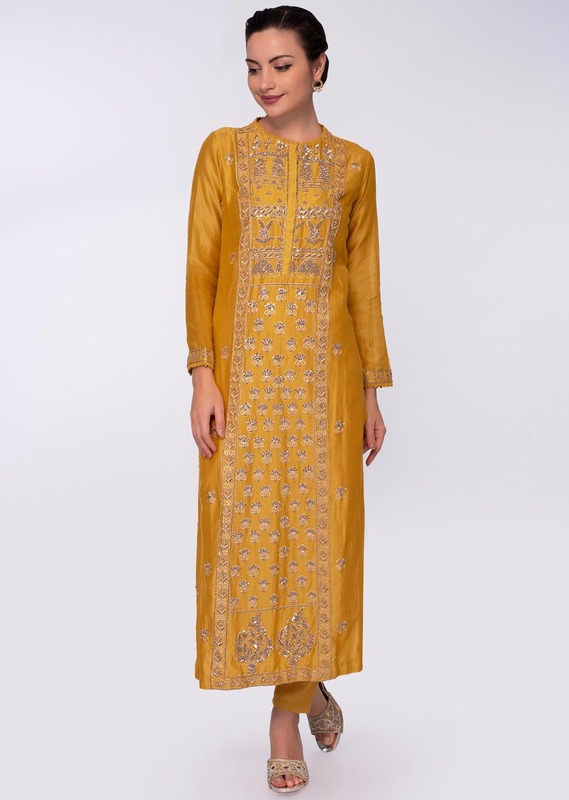 Paired with a matching cotton jute straight pant. 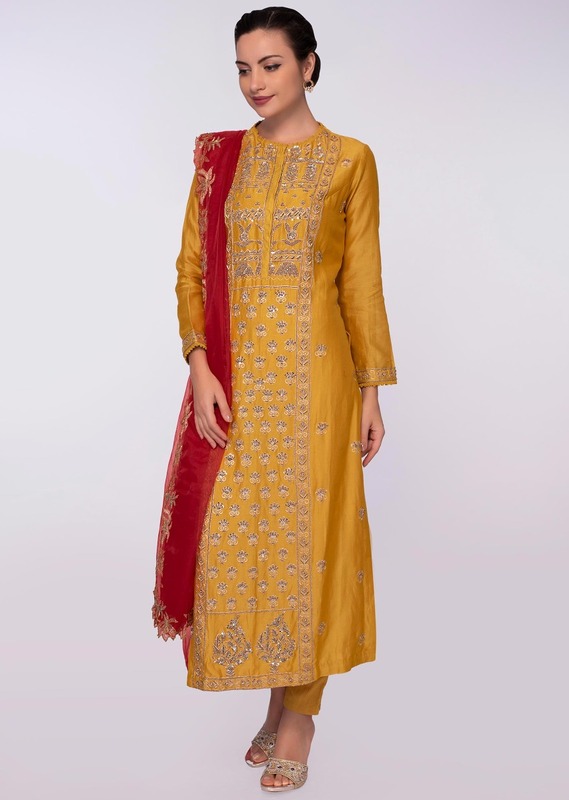 Teamed up with red organza dupatta with zari, sequins and moti embroidered border.